Each day you come in contact with your countertop or natural granite surface, you are touching a part of nature and a part of nature is touching you. Whether it be the absolutely dramatic Louise Blue or the sophisticated Nero Assoluto or Delicatos, granite conveys a message of beauty all its own; a different story to each set of eyes reading it. Natural Granites are quarried all over the world and as such, the selection is as vast as the organic colour palette of nature. Granites are exotic, soft and strong, vibrant and muted, ethereal and earthy. Everything about Granite is exciting. Viewing slabs of granite is an exciting experience. And having granite in your home is exciting, for the selection is almost endless and the design opportunities are immeasurable. 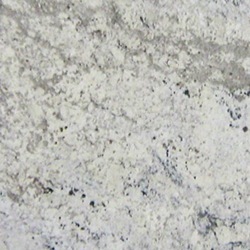 Natural Granite is a balance of stunning design opportunity and durability. Granite is not an impractical beauty; it is durable and strong and is capable of being shaped into a variety of designs. When sealed, it stands up to the daily abuses we put our surfaces through as users. You must nurture your granite, though not to an extreme amount. Cleaning after use and simply wiping up after spills occur should keep your granite looking beautiful for as many years as you decide to keep it. Resealing your granite at least once every five years will offer you added protection against staining. You get more than you give when you invest in granite. Since the popularity of Granite has infiltrated the masses and the granite industry has evolved, new finishes and textures are beginning to appear in the marketplace. Cambrian Black in an Antique Finish is an example of the design-forward presentation of granite, adding to the design capabilities of natural stone. 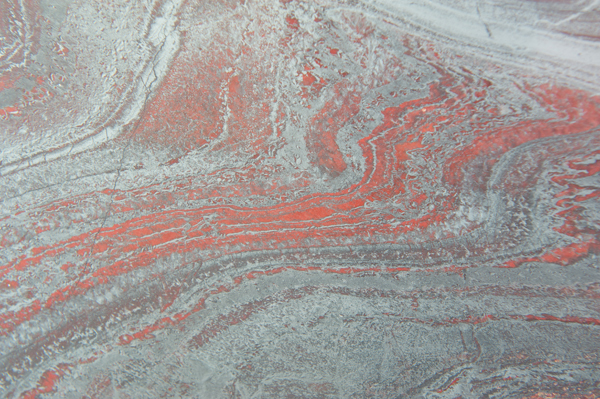 Rough River is another form of textured granite that offers a matte finish without chemically honing a polished slab. All of these granite options are available through your Latitude dealer. Mother Nature’s vast patina seems almost endless, as do the possibilities natural granite brings to your next design project. The beauty of granite has been named unmatched, and unable to replicate. Granite slabs, in a myriad of colour families, are quarried throughout the world. Africa, China, Labrador, New Zealand, Italy, Brazil and India are just a small number of locales where the most popular granites originate. 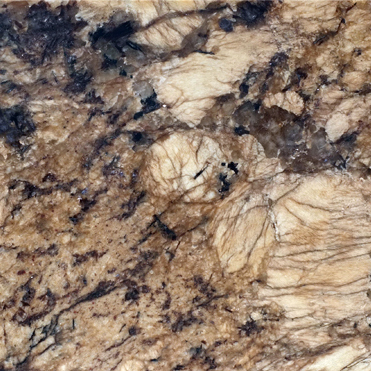 Since granite is a natural product, there may be interesting characteristics found within it. Each granite slab has a story, of sorts—veins and fissures that tell of home. These are either commodities to your design, or are elements you should avoid. A knowledgeable salesperson will walk you through the stories of each granite and point out those elements you may find dazzling and those you may find disturbing. In nearly all cases, however, a granite slab waits to be found for your space. The selection is that large! We have aligned a standard selection of commonly found Granites. It is very important to view an entire slab when choosing a colour of granite, for a small sample is most often representative of only a small portion of each slab and each slab of granite is one of a kind. Visit our colour selection to learn more. Also note that there is an endless amount of unique slabs available to you. We have organized just a small taste of some of these here. Visit a Latitude dealer showroom to see a sample selection of Granite and display countertops.